How to walk a Labyrinth? Labyrinths are sacred circles found in every culture around the globe, dating back thousands of years. The circle has no beginning and no end. It is a doorway to another dimension and it allows us to become whole and experience oneness, fulfilling the deepest yearning of the human soul. 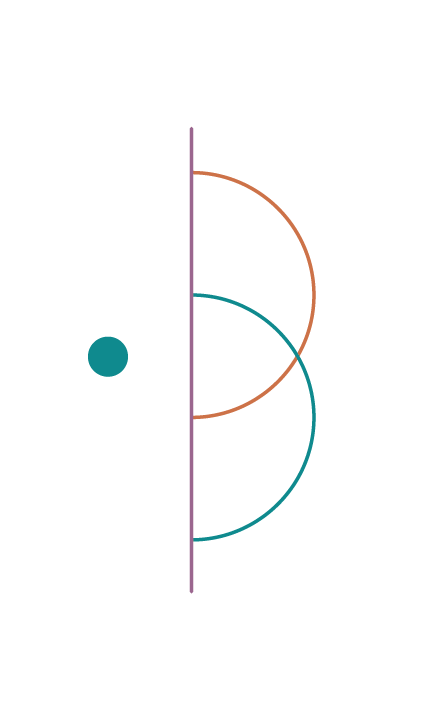 The sacred circle represents our origin and final destination, our divine essence which exists beyond time and space. The labyrinth is not to be confused with a maze, where you can take choices and reach dead ends. Mazes became popular during the period of rationalism in the 15th century, emphasizing reasoning and thinking. This was also a time when the holistic understanding of the universe lessened. The body mind connection and the knowledge of how the mind rules matter vanished. It is interesting to notice that now we have come full circle. In the last 20 years the labyrinth movement in the Unites States flourishes with dozens of new labyrinth created every year. 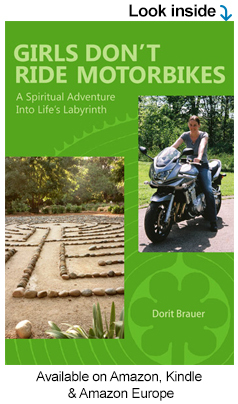 The labyrinth is a spiritual transformation power tool that answers our call to wholeness. It allows you to reach states of clarity, during troubled times and turmoil. Its single winding path invites you to relax, give up control and trust. As you walk the labyrinth consider the three R’s. Release, Receive and Reflect. Following the journey into the labyrinth consider to release everything that does not serve your highest good. With every step visualize breathing in bright shining divine light. You exhale all concerns, worries, painful memories, aches from your body, as well as beliefs and perceptions that do not resonate with the light. Enjoy this cleansing and purification process. The center of the labyrinth represents your connection to the divine, your higher self and it is a place of unity and oneness. Here you may ask for guidance to life’s challenges. Be assured that the answers to your questions will emerge in the days following your labyrinth walk. Now as you have exhaled everything that does not serve you any longer you may visualize breathing in the light and breathing it out, the light with in you and all around you grows and expands. You become a vessel for the divine light; let your light shine bright and radiant. Then trace your steps back out of the labyrinth. Count your blessings and all the good you have received throughout your life. Focus on happy memories, moments of joy and love. Every thought that enters your mind creates reality. Reflect and see the miracles and wonders which are always there. Always, when walking a labyrinth expect miracles to happen. You have planted a seed of light in your consciousness and it will grow and expand and reveal itself in the most blissful way in all aspects of your life. You are invited to walk the labyrinth again and again, creating a reality of love, light, joy and peace on step at the time. I am very grateful to the Cameron Wellness Center who asked me to build their labyrinth. I have chosen the 7 circuit Cretan design, dating back to 350 B.C. Built out of pea gravel and river rock this sacred circle is beautifully integrated into the nature setting. You are invited to walk the labyrinth any time. It is located at Wilfred R. Cameron Wellness Center of Washington Hospital, 240 Wellness Way, Washington PA 15301, on the Waling Trail behind the Wellness Center. A 7-circuit beach labyrinth, which I created at Perdidio Bay in Alabama. Please check out Dorit Brauer Labyrinth Design and witness the creation of the Cameron Wellness Center Labyrinth. Learn why it so important to DREAM BIG!!! Are you ready to make today the perfect day of your life? Find a labyrinth in your area. It is easy with the World Wide Labyrinth Locater. Just enter your Zip Code. Inner Peace and Serenity can be yours. Take the first step today. Please check out the Tribute to my Dad. ‘A true reminder to always be conscious of the fragility of life, to not hold back on saying how much you love someone and to be grateful for every moment you share together.’ Learn why I am so grateful for my father, and how he shaped me into the woman I am today. Labyrinths across the US: Please enjoy the Road Trip Pictures. Heart Health Starts with Love Why Pittsburgh?